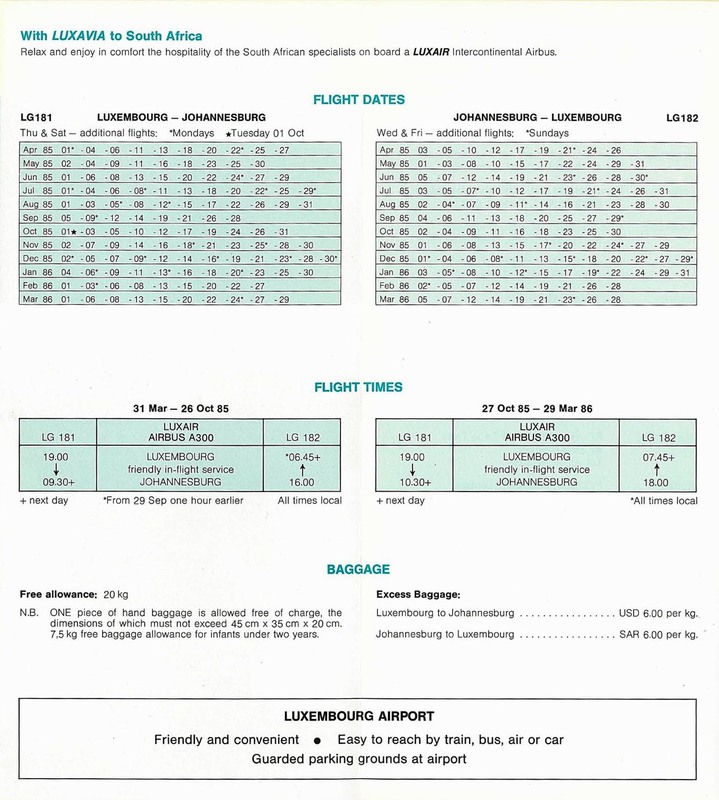 Luxavia was formed in 1971 by Trek Airways of South Africa. Trek feared, and rightly so, that South African aircraft, due to the country's apartheid policy, would be banned from flying over African countries. 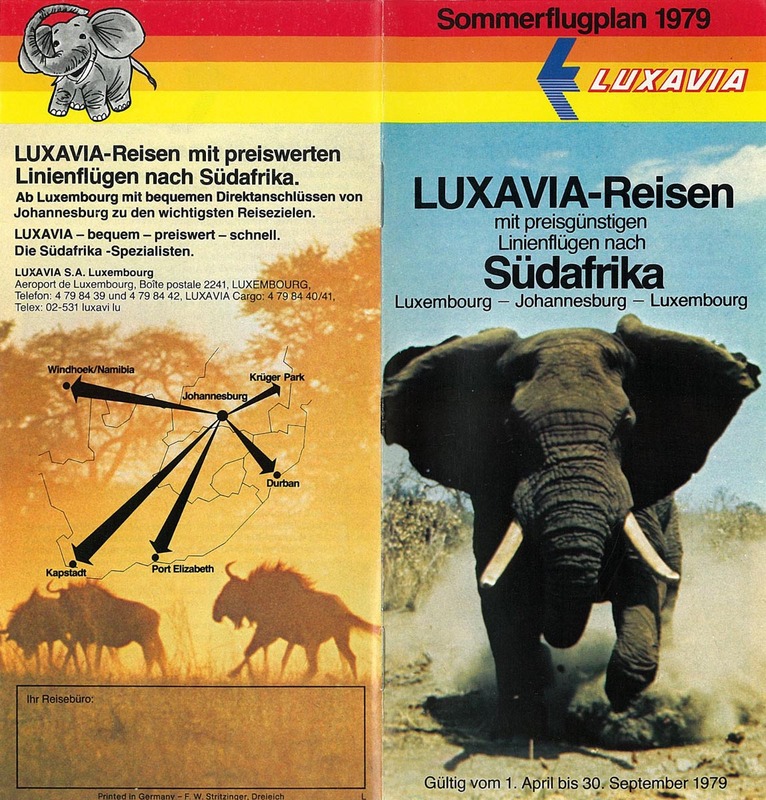 Luxavia took over Trek's licenses and were handed the Luxembourg landing rights in South Africa, thus being able to continue the flights between Luxembourg and Johannesburg. Cooperating with Luxair, aircraft were painted in Luxair colours and registered with that airline. Eventually, Trek titles were again to be seen on the timetables alongside Luxavia's. 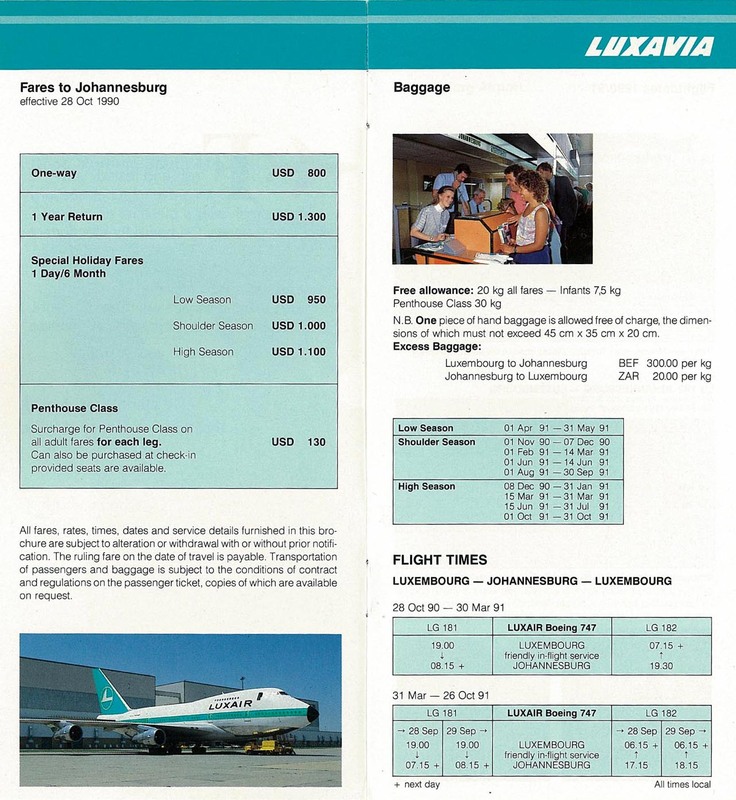 Luxavia/Trek ceased operations in 1994, after Trek's new venture, Flitestar, had failed to compete successfully with South African Airways on domestic routes.